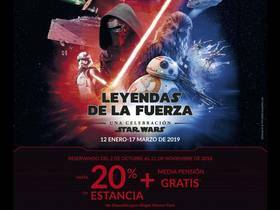 Cotton Travel - Boletines de ofertas - BOLETIN DE OFERTAS - DISNEYLAND: LEYENDAS DE LA FUERZA!! DISNEYLAND: LEYENDAS DE LA FUERZA! !